Perm Hospitality Maidens were made in the Krasnokamsk Children’s Toy Factory. This is a very unusual set with a unique shape. The largest doll opens at the neck, and contains a solid peg like inner doll. 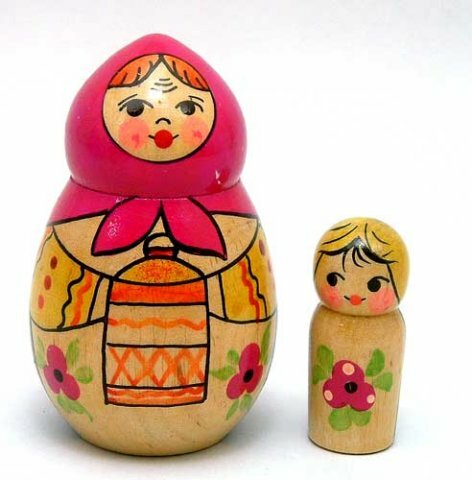 The larger doll is 3" and the smaller doll is 1 3/4". Light wear, chip to back. Contains a paper inside in Cyrillic.